The pressure switch is a sensor controlling the water level in the appliance. If it fails, the basin is likely to overflow, which results not only in poor washing, but also in a flood. You need to consider the amount of water in the basin to make sure it is the switch that is failing. If the amount is significantly different from normal, it means the sensor is faulty. The pressure switch is an indivisible part. Accordingly, it is beyond repair and installation in case of failure. It requires replacement. You don’t need any additional components for installation. 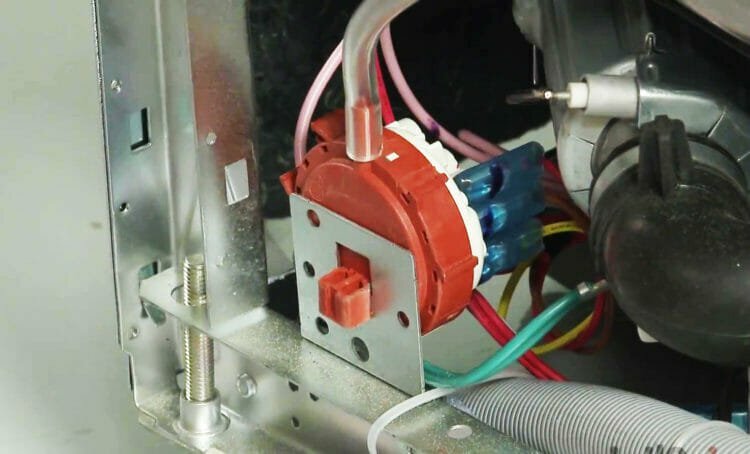 Before starting the repair, you need to consider the fact that in most cases the pressure switch is designed for a particular model. So it is necessary to pick up a suitable part. If you have got all the tools for the job available, you can proceed with the replacement. In order to fully replace the pressure switch, use a wrench or adjustable wrench and a screwdriver to loosen the switch mounting bolts. After the installation select the washing cycle and check the work of the dishwasher. Notice the amount of water. It should be optimum now.